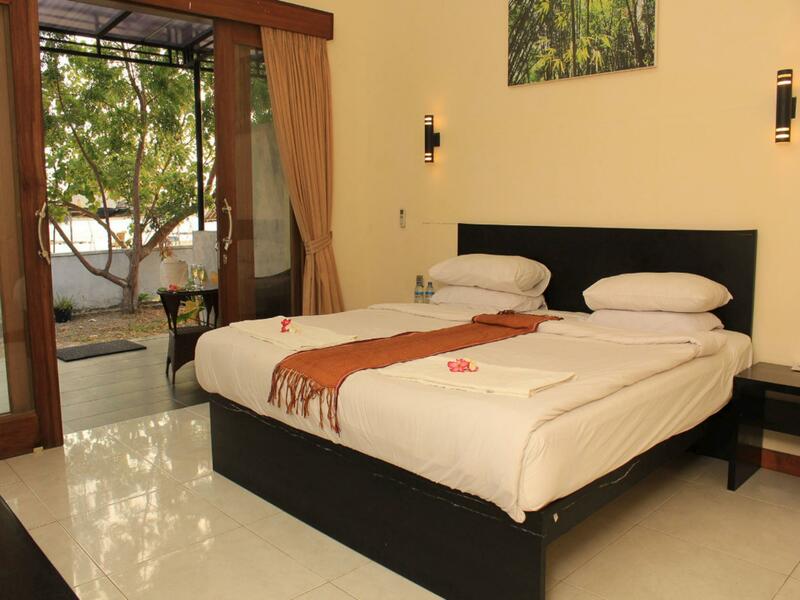 Have a question for Bumbangku Beach Cottage? "The meals we ate here were delicious;"
"The staff there cares a lot and the food in the restaurant is great!" Have the vacation of your dreams at the Bumbangku Beach Cottage. The rooms at this hotel offer beach and garden views for guests to enjoy, so you are bound to be peering out at great scenery. All of the rooms have a desk and free bottled water. 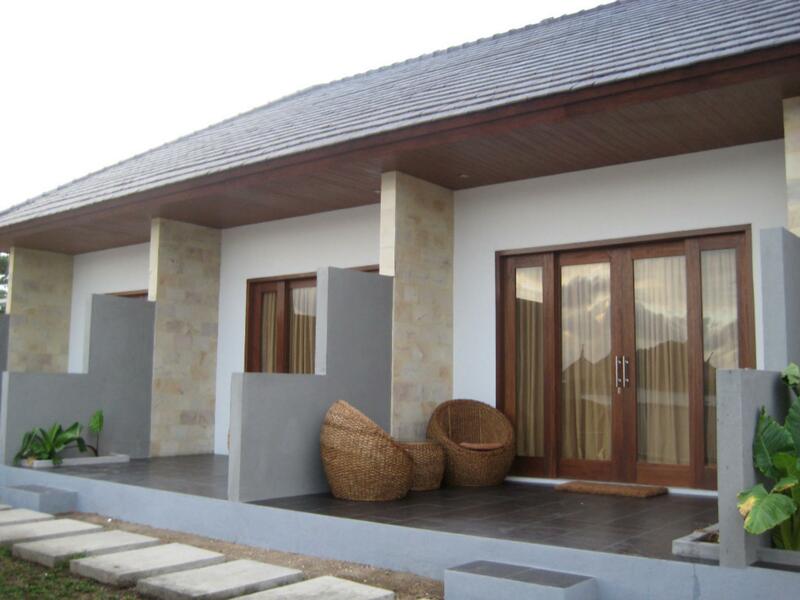 This Lombok hotel is near Surga Beach, Pantai Tanjung Aan Beach, Are Guling Beach, Mawun Beach, and Kuta Beach Lombok. With a bar, restaurants on-site, BBQ facilities, and room service, the Bumbangku Beach Cottage has a range of dining and snacking choices. Offering guided tours, the hotel is the perfect place to stay to learn about your surroundings and see everything you can while you're here. It also offers massages, non-motorized water sports, and many more activities. This hotel offers access to canoeing, so you can experience being out on the water and looking back over at the city. It offers hiking, so you can spend a relaxing day in nature. This hotel gives you access to numerous transport options, such as airport transfers, shuttle services, bicycle rentals, and car rentals. There's free Wi-Fi in all rooms, as well as Wi-Fi in common areas, ensuring that guests are able to contact their loved ones without splurging on foreign data charges. 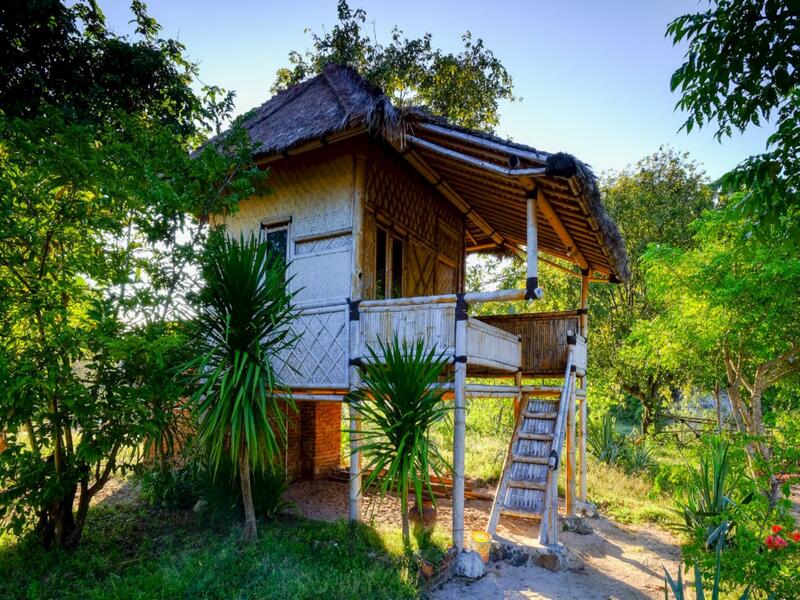 The Bumbangku Beach Cottage offers check-in from 11:00 AM and check-out until 12:00 PM. The nearest airports are Lombok International Airport (LOP) and Sumbawa Besar Airport (SWQ), which are situated 21.8 km and 122.6 km away. "Located near fishermen's village, on a very calm and quiet p..."
Great secluded and scenic position away from the crowds. Boat to take you out to the surf. A couple of surfboards for hire (IND50000/day) Boat out to the surf IND50000. Very friendly staff, almost over helpfull. Some teething problems with water supply, aircon etc but to be expected in such a remote position and all rectified speedily. Food was very good. Well worth the effort of getting there. If your looking for a place to relax and recharge the batteries this is the place to do it. Surf was great but could get crowded. Floating around on a surfboard in the middle of the bay at sunrise with the sun turning the sourounding cliffs many shades of pink,red and gold was a expierence to remember. My stay was short but really fun. The staffs were very friendly. I asked for the pick up beforehand and it make it a lot easier to travel since there were not many public transport in Lombok. I stayed at a small bamboo hut right next to the beach. You can see beach and sea as soon as you woke up. The place was quite and calm it made me really relax. The staffs were very helpful, I can always ask for their help. There were a close surfing spot near the place but I chose to Canoe instead. The view was so great. I even climbed to a hill near by and enjoy the view from up. It was a great experience. right on the bay. the shacks were amazing little beach huts. the resturant and bar were great. thoroughly enjoyable stay in a lovely beach hut. Staff were extremely friendly and although some were in training, were only too happy to help or ask. Resort was quiet, almost too quiet though - If you want a real get away then this is it! It suited us as we needed a break after climbing up Rinjani. Recommend the boat trip in from Gerupuk rather than the road journey down the track - simply amazing way to arrive - easy to do - turn up at Edo's Homestay and they'll organise the boat over for 100 rup/pers. Restaurant and bar were exceptional. Lots of fun and relaxation had. Enjoyed being so close to the ocean, and it was really fun to explore the surrounding beaches by motorbike. The staff were really friendly, though they forgot to put a fan in my room which would've made a huge difference in stopping the thousand mosquitoes that attacked me during the night. The showers are really weak pressured, but you get used to it. The food wasn't that great, but we ate it every day because that was all that was available. Was just nice to feel secluded in all natural beautiful surroundings, and the locals are super friendly. We were so lucky to end up booking Bumbangku! Whoever searches for a relaxed time and a good surf should definately book this place! 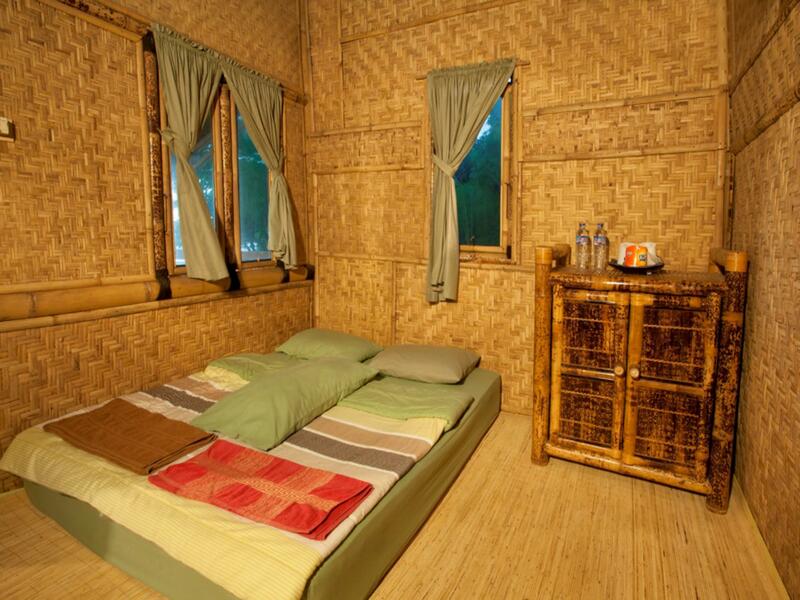 Our bamboo cottage was simple but very very clean and extremely cosy. It was great to fall asleep hearing the waves of the ocean and to wake up every morning with the beach right in front of the cottage. We are both foodies and must say that the food in the restaurant is exceptionally good and much better in compared to what we had in five star resorts up in sengiggi! The breakfast is delicious as is the menu for lunch and evenings. And it all comes at very cheap prices. We had two dinners under the stars right on the beach which we will never forget! Surf is very nice too, many places in and around bumbangku to catch some good waves! One thing we would especially like to point out is the very friendly and layed back staff and the manager of the place who tries to make the impossible possible to make you feel comfortable in Bunbangku. He is also a great bar tender and his cocktails with fresh coconut from the tree next door are delicious! When we sat in our five star resort in sengiggi, we would have loved to go back to bumbangku instead! We will definitely be back as soon as possible! freshly grilled seafood that we catch by ourselves! I was so lucky to find this place, my friend recommended it to me. It's so far away from all the noise and it feels like I own the whole place all for myself. The staff was really friendly, they helped me with many things. Canoeing toward the sunset is also very fun, I can keep canoeing until the small island and took a few pictures before coming back to the hotel. Overall, superb! We booked in for 3 nights and ended up staying 5. A serene remote location based beside a traditional fishing/lobster farming village. You must try the coconut colada and the Bumbangku prawn curry is great too. quiet place, peaceful, and perfect for relaxing away from it all every day..
picked up at the airport by a driver bumbangku, traveling for 1.5 hours, the scenery is pretty good. friendly and helpful staff, quick service, the room is clean, the food is pretty good .. even when checking outpun remain well served. I also transfer to the airport, and before I carried around the city of Mataram .. Its staff is also very good: Danny, Azzam Ahmad, Sunardi, Anga, Effri, etc.. I am very grateful. Unfortunately, the streets are still broken, when the rainy season will worsen, a swimming pool at the hotel have not been there .. it would be great if there is a swimming pool. plus more on the beach front of the hotel so many cages are quite disturbing scene .. not a pretty sight. Overall, the hotel is pretty good. Tht staffs so friendly and helpful, room clean, fast service, the atmosphere is very peaceful, calm and relaxed ..
the atmosphere is very calm and peaceful .. suited to cool off from the bustle of the city .. Unfortunately, the road was damaged, there is no swimming pool and lots of cages in a disturbing view of the beach .. Overall, nice hotel..
Full with privacy, away from the crowds! I love the situation... the beaches, the white sand, the hut. But for snorkeling, I need to go a little further from hotel by boat but I found it enjoyable. The undersea view is worth to see. I walked around at the hotel and found green nursery that grows fresh vegetable and watermelon. Good place for refreshing.